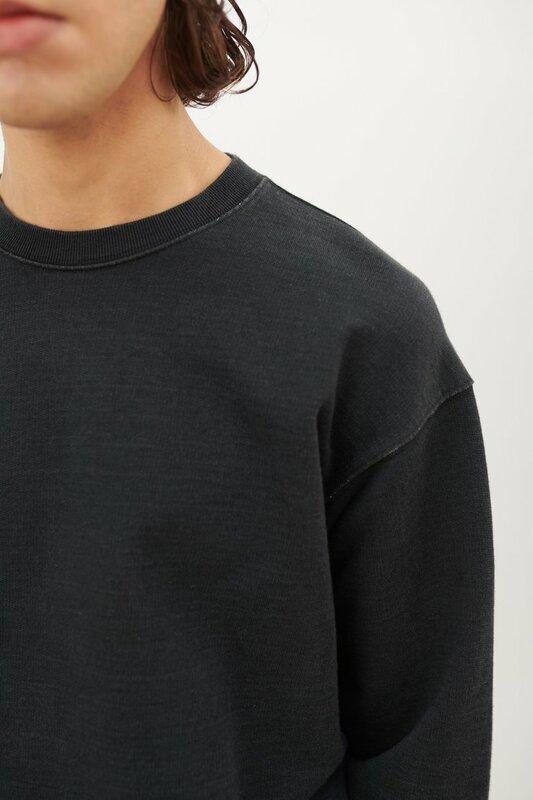 Our Patch Sweat in Black Indigo. 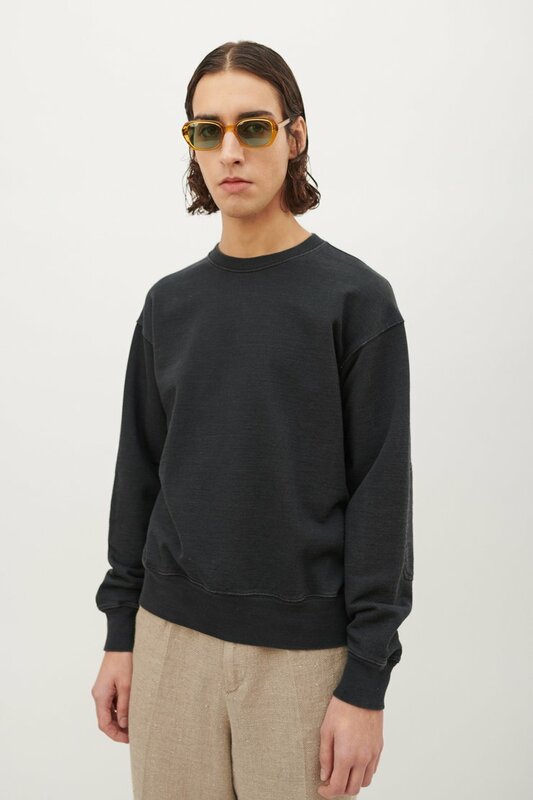 Produced in an indigo dyed fleece back jersey, the Patch Sweat has a relaxed, boxy fit and features stitched elbow patches, a fine rib collar and deep cuffs and hem. 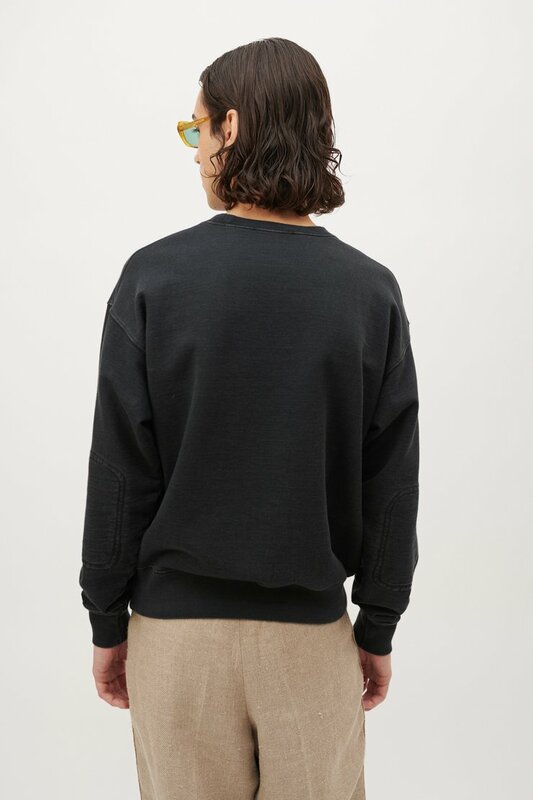 Our Patch sweat is true to size with a relaxed and boxy fit and slightly short length. 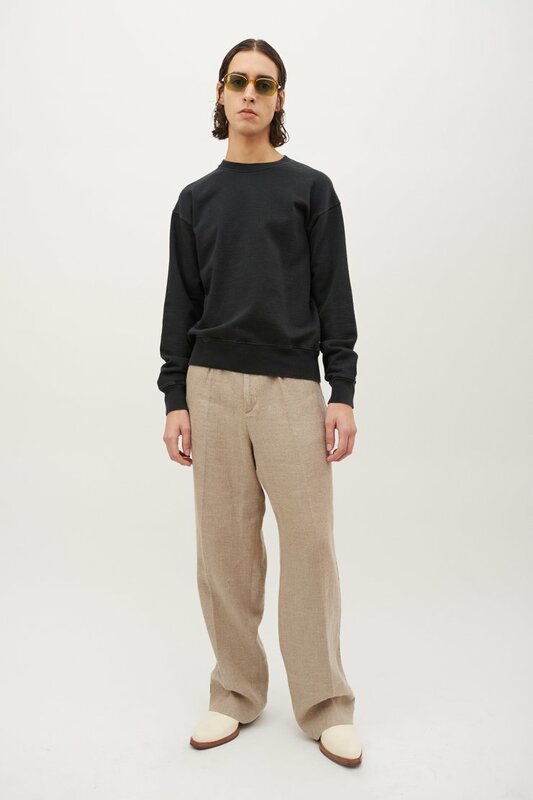 The model is 185 cm tall and is wearing a size M/48.